Toyota has joined the The Linux Foundation, the nonprofit organization dedicated to accelerating the growth of Linux, as a Gold member. Why exactly is a car company joining the Linux Foundation? Well, it turns out both believe Linux should power your next vehicle. The Linux Foundation insists that consumers are starting to expect the same connectivity in their cars as they now get in their homes and offices. This ranges from dashboard computing to In-Vehicle-Infotainment (IVI). In other words, automobiles are becoming the latest wireless (mobile!) devices. Toyota argues the Linux operating system provides a common platform that helps connect the world's network of devices, including cars. The Linux Foundation figures that because it is an open source operating system, Linux provides automakers and their partners the flexibility they require to quickly bring to market the latest technology features. In short, Linux isn't just satisfied with powering PCs and smartphones. It wants to go power cars too. Queue the jokes about open source and car crashes. "Linux gives us the flexibility and technology maturity we require to evolve our In-Vehicle-Infotainment and communications systems to address the expectations of our customers," Kenichi Murata, Project General Manager of Electronics Development at Toyota, said in a statement. "The Linux Foundation provides us with a neutral forum in which we can collaborate with the world's leading technology companies on open innovation that accelerates that evolution." "We are very pleased to welcome Toyota to The Linux Foundation. 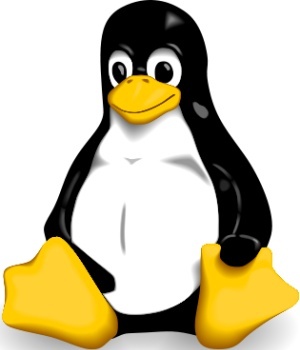 The company's leadership and proven innovation will bring important contributions to the advancement of Linux," Jim Zemlin, executive director at The Linux Foundation, said in a statement. "Toyota's investment in Linux is a testament to the ubiquity of the operating system and its ability to support the latest market requirements." Three months ago, the Linux Foundation declared itself victorious in its software war with Microsoft. The organization stated that in every category but the desktop, Linux, in one form or another, is beating Microsoft's offerings. That means servers, smartphones, tablets, and so on. The organization didn't say anything about cars then, and Microsoft's software is in a fair number of vehicles. It looks like Toyota wants to help Linux fight Microsoft in yet another market.